Satisfied Customers : They make OUR WORLD go round !!! Rotties are loyal, strong and want nothing more than to please their owner. They are very protective and sensitive to the feelings of their owner and their family. This makes them a great best friend. They can get pretty big in size fairly quickly, but they are big, loveable, playful dogs the whole family will enjoy. At DuPree's we pride ourselves in the love and care we give our dogs and puppies. 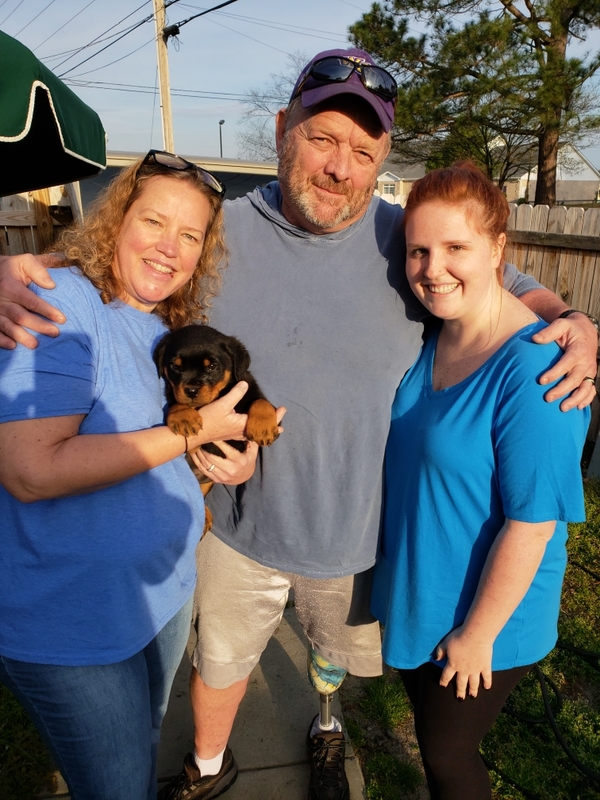 A small Rottweiler kennel in Greenville, North Carolina, DuPree's specializes in the sell of German Rottweiler puppies, while also offering Rottweiler Stud service. 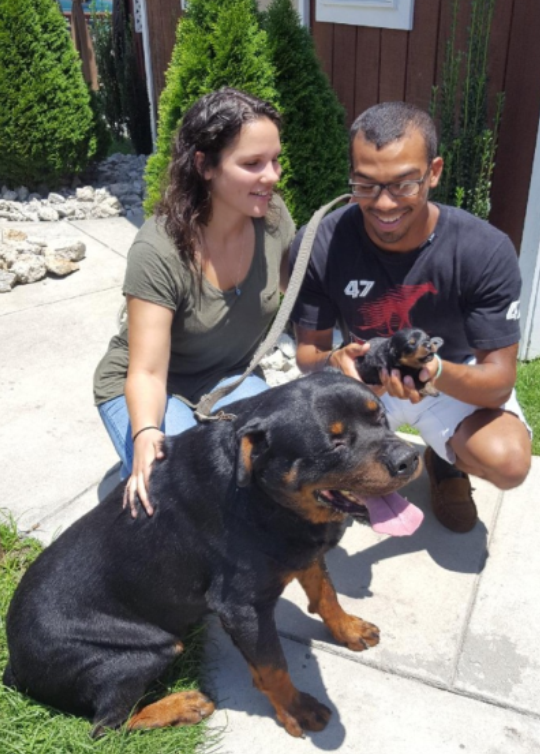 DuPree's believes in the breeders code of ethics and any Rottweiler sold by Dupree’s Rottweiler Breeding & Stud Service has a total health guarantee. Our goal is to produce Rottweiler’s that surpass the AKC standard . Thereby ensuring you receive a quality, healthy, and strong Rottweiler that is a well-bred, purebred. And the perfect best friend for YOU. 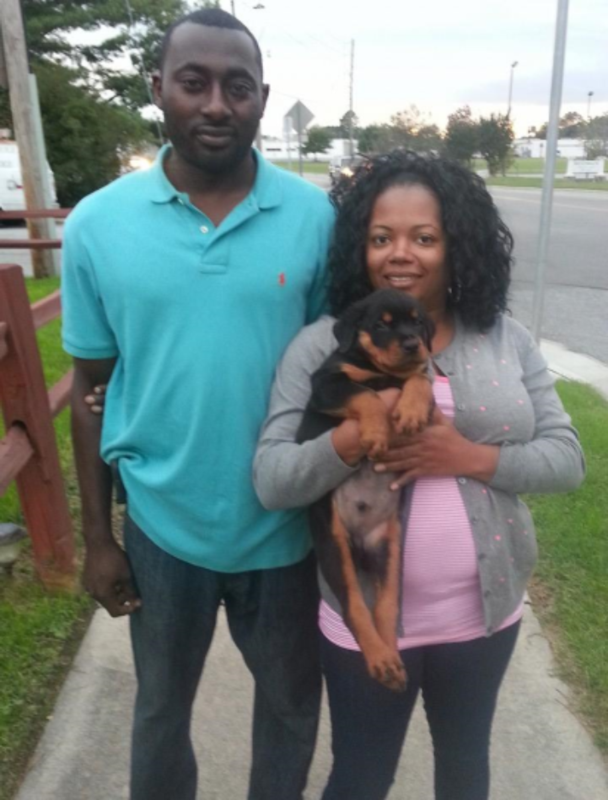 Trust DuPree's to provide you with the quality Purebred Rottie you want and deserve. To find out about our newest litter reach out anytime day or night to 252-341-0109. Call DuPree's German Rottweiler Breeding & Stud Services. 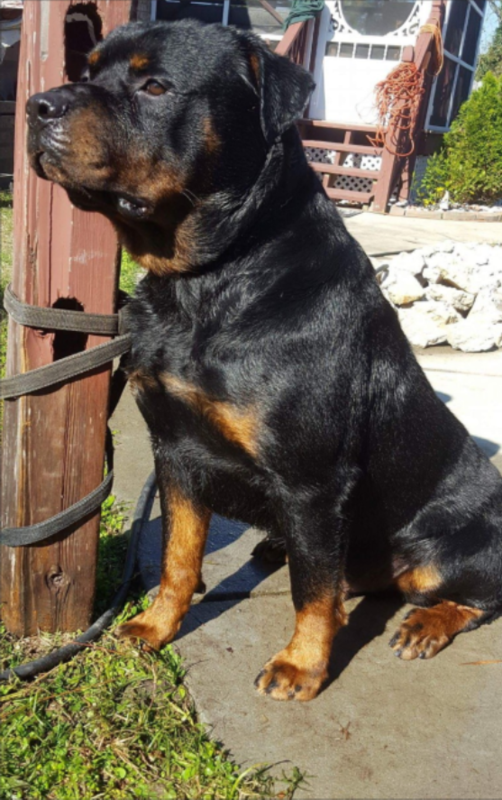 We have just the quality, Well-bred, Purebred - German Rottweiler you are looking for. 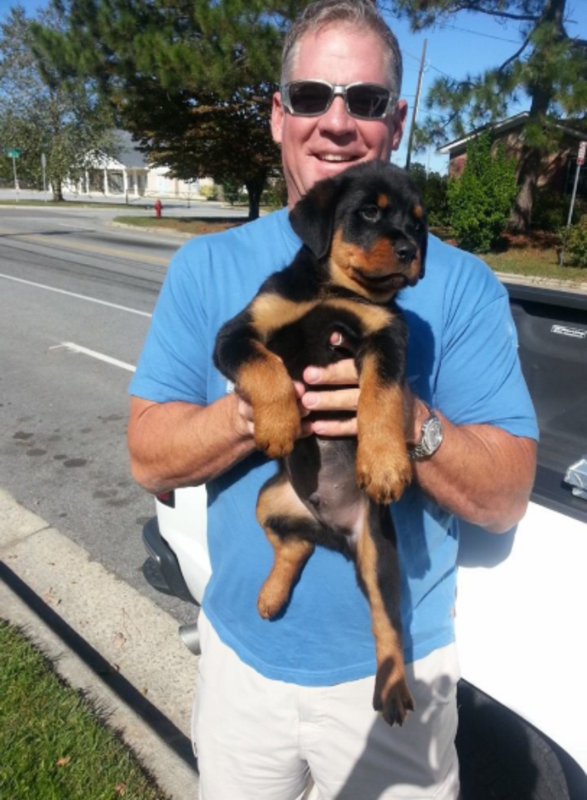 DuPree's Rottweilers Greenville, NC, make great gifts _ Meet TiTaniuM! You know you want that perfect pet. One that will protect your home and your family. One that is loyal and true and loveable too. Give us a call - we're waiting to hear from you! 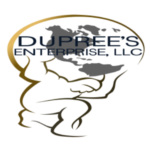 Copyright © 2008-2018 DuPree's Enterprise LLC.